Paul Nolan is happy to report Discorama in fine health after his brave near miss in a gruelling and controversial edition of Cheltenham’s National Hunt Chase. Discorama was beaten just half a length by Le Breuil at the end of an attritional running of the marathon event, in which only four of the 18 runners finished. Nolan is mindful of the six-year-old’s exertions in rain-softened ground at last week’s Festival, and is therefore wary of committing him to next month’s Irish Grand National – or indeed running again at all this season. 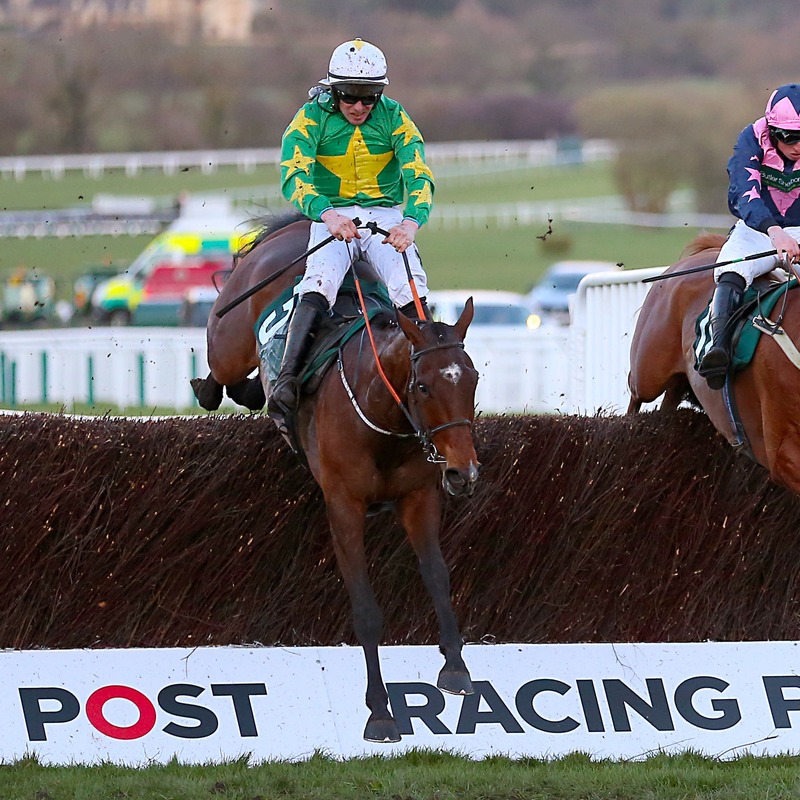 The National Hunt Chase, one of Cheltenham’s oldest races and confined to amateur riders, is under much scrutiny after stewards banned three jockeys for a combined 37 days for continuing ‘contrary to the horse’s welfare’. Nolan’s runner-up, however, has since shown no ill-effects as yet. “He’s come out of it very well,” said the County Wexford trainer. “I was pleasantly surprised how fresh he was. Declan Lavery, who finished 47 lengths behind Discorama in third on Jerrysback, is to have his appeal against a 10-day ban heard at the British Horseracing Authority’s London headquarters on Thursday. Nolan, meanwhile, was delighted with Discorama’s performance – but admits he will “err on the side of caution” before confirming another big-race target. “If someone had said going over that you were going to be second you would have taken it,” he said. “But I just thought that on a couple of occasions he was going to win – and that’s where you’d be disappointed after, when you are just beaten. “It’s such a long-distance race, and we were beat basically in the last 100 yards. “When you look back at the race, there were a couple of little things happened – he was hampered a couple of times and had a few little novicey jumps early on that meant he lost bits of ground. Nolan confirmed Discorama holds an entry at Fairyhouse on Easter Monday. But he added: “It’s probably too early to be making plans. He was entered in the Irish National just in case. “I couldn’t be happier with him. But it will all depend how I feel he looks – we’ll see if it starts hitting him in a couple of days’ time and if he starts to get too light or something like that. “We’ll wait for another week or two until we get back on his back. “I want to do right by the horse.